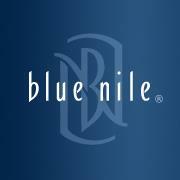 Blue Nile is an online leader in diamonds, and fine jewelry. Their prices are typically 20-40 percent that of what a retail dealer will charge.They are the perfect shop for Engagement Rings, and wedding sets. I have an anniversary coming up and I think Blue Nile is the place I should be looking for my special 20th anniversary ring. Shopping for diamonds online, sounds kind of risky doesn't it? They stand behind their product with a lifetime warranty. They can help you choose and design exactly what you want, including the size of diamond, quality, and setting. No need to search for that perfect ring you may have in your mind, trying to find it at the local jewelry. Such a large selection you are destined to find what you like here. They are much more than just engagement and diamond rings though. They have a gorgeous line of fine jewelry. Rings, bracelets, necklaces, pearls, silver, and gemstones. Everything you would expect a quality jeweler to have. I received these beautiful Leaf Chandelier Earrings to review from Blue Nile. My 5 year old couldn't wait for me to try them on, even he had an eye for a beautiful piece of jewelry! These are a bit larger of an earring than I usually wear, so I was a bit concerned that they would be heavy. They are as light as a leaf, yet still made from sterling silver. They are much daintier in person than they look in a photo. Very light and shimmery the way the sterling has been designed. They almost look like mini diamonds sparkling but that is just from the leaf pattern. One thing I love about the website is that you can narrow your search from a range of prices. If you don't have thousands of dollars to purchase a ring, you can still look at all of the beautiful ones in your range, rather than having to look at what you can't afford. That is super! Blue Nile honestly has a great selection of jewelry in every price range. I found their site to be very easy to use. Their shipping is very fast, so you still have time for your Christmas shopping. Catch the tale end of the Extraordinary Days of Christmas!! For 12 days only, and beginning on Cyber Monday (November 26), users on Blue Nile’s Facebook page will experience an interactive, cozy fireplace setting that’s surrounded with presents and holiday features. Each day, a user may select and “virtually” unwrap one of six presents in hopes of winning one of 12 extraordinary jewelry prizes from Blue Nile. One extraordinary jewelry prize will be awarded each day, and range from $3,500 to $13,500! Prizes include, but are not limited to, multiple diamond engagement rings (including one from the new Monique Lhuillier line), 2-carat diamond earrings, a sapphire and diamond ring, and a 4-carat diamond bracelet. All told, $100,000 worth of extraordinary jewelry prizes will be awarded from November 26 – December 7. And, while there will be only one extraordinary prize per day, everyone is still guaranteed to unwrap something from Blue Nile! They are much more than just engagement and diamond rings though and rings, bracelets, necklaces, pearls, silver, and gemstones. Everything you would suppose a quality jeweler to have.